Inscription City Limestone is Srivijaya inscription which was first discovered, long before a new inscription found Kedukan Hill on November 29, 1920, and Talang Tuo Inscription found a few days earlier ie on 17 November 1920. Limestone stele of this city, along with other archaeological discoveries in the area, is the relics of the Srivijaya and open up new insights about those times in the Hindu-Buddhist period. This inscription is also opening an overview of patterns of people living in the 6th century and the 7th century against the background of Hinduism and Buddhism. 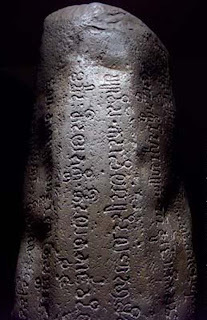 Inscription Lime City is the finding archaeological Srivijaya inscription found on the west coast island of Bangka. This inscription is named according to the invention is a small hamlet called "Kotakapur". 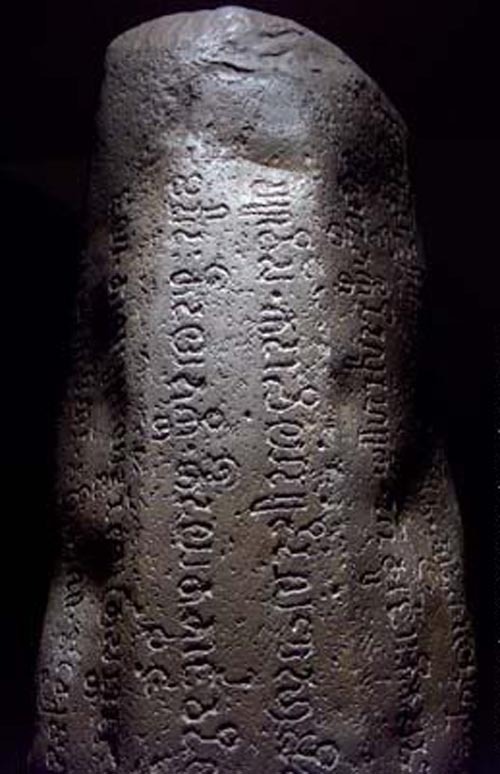 The inscription on the stele is written in script Pallawa and use the Old Malay language, and is one of the oldest document written in Malay. The inscription was discovered by J.K. van der Meulen in December 1892. The inscription was first analyzed by H. Kern, an expert in epigraphy who worked on the Dutch in Batavia Genootschap Bataviaasch. At first he considered "Srivijaya" is the name of a king. 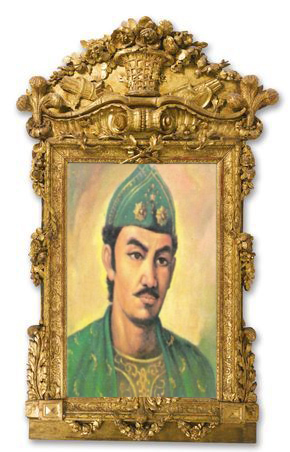 George Coedes who later revealed that Srivijaya was credited with the name of a great empire in Sumatra in the 7th century AD, the powerful empire and once ruled the western part of the Archipelago, Peninsular Malaysia and southern Thailand. 1. Siddha titam servant nvari i ni avai kandra kayet paihumpaan namuha ulu LaVan tandrun nauseating nauseating makamatai tandrun vinunu paihumpaan hakairum muah kayet ni humpa Unai cash. 2. Umentern bhakti ni ulun Haraki. Unai cash we savanakta devata Mahardika sannidhana. manraksa kadatuan çrivijaya yan. we tuvi tandrun nauseating vanakta devata mulana parsumpahan yan. 3. paravis. kadadhi yan size sheets didalanna bhami paravis Hanun. Samavuddhi drohaka LaVan, manujari drohaka, niujari drohaka Talu drohaka din. tida yes. 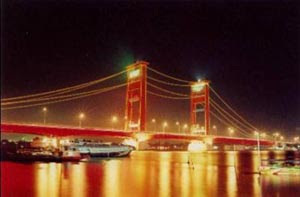 5. jaya. Talu muah dnan gotrasantanana yes. tathapi savankna yan vuatna evil. makalanit size sheets. makasuit. makagila. visaprayoga spell mace. udu tuwa. tamval. 8. TNA niwunuh this oath gran kadachi yes yes I wll tatvjjava diy. * with the yam nigalarku Sanyasa dattua. Canti muah kavuatana. dngan gotrasantanana. 10. Yan manman this oath. nipahat in velana yan yan Vala çrivijaya kalivat manapik Grounds java bhakti ka tida çrivijaya. 2. O all powerful deity, which is being assembled and protect this Sriwijaya Kadātuan; ye gods who started the beginning of any oath! 10. This curse was pronounced; pemahatannya took place when the new army set out to attack Srivijaya Bhumi Java is not subject to Srivijaya. This inscription is carved on a stone monument shaped triangular-facet with a height 177 cm, 32 cm wide at the bottom, and 19 cm at the top.